Thunderstruck II slot game | 25 bonus free spins and 6x multiplayer! Thunderstruck II online slot with free spins bonuses! Experience Thunderstruck II and play alongside the prince of Asgard, Thor, and his villain brother. The slot machine also hosts the god of Mischief Loki, the ruler of Asgard Odin, the maiden of Valhalla and many other characters of the mystical city. Rumble with thunder through the 5×3 reels and 243 Ways to Win slot, with Free Spins and multiplier features. Enjoy the high quality enhanced graphics, epic sounds and out of this world features. Fly with the popular Norse god of Thunder through the continuation of his journey along with other Norse gods depicted with all their glory. It is possible to play Thunderstruck II in free play mode (no deposit), or play with real cash, and set wager as low as 0.30 all the way up to the highest possible wager of 30. Thunderstruck II features electrifying bonuses, from a thunderous Wildstorm feature triggered randomly in the base game whereby Thor’s lightening can turn up to 5 reels Wild! When 3 or more Bonus Hammer symbols land anywhere on the reels, entry into the Great Hall of Spins is awarded. Each entry to this great hall will take you closer to unlocking additional chambers containing more godly rewards. Your journey through the Great Hall of Spins is saved, so when you return to the game, you position along the golden progression bar will remain in place. Also get to enjoy the maiden of Valhalla grand 5x multiplier during her 10 Free Spins. A total of 3 bonus symbols will retrigger and award an additional 10 Free Spins! Unlock the 5th trigger that offers 15 Free Spins and play with the God of Mischief, Loki, with a tricky Wild Magic symbol on the centre reel which randomly transforms any of the other symbols into additional Wilds. Odin, the Ruler of Asgard, rewards you with 20 Free Spins on the 10th trigger of the Bonus. During this bonus feature, Odin sends out his ravens to randomly fly into symbols turning them to 2x and 3x Wild Multipliers. An impressive 6x Multiplier will be active when both birds chose the same symbol. Enter the god of Thunder’s chamber on the 15th trigger of the Great Hall of Spins. An amazing 25 Free Spins awaits with the well-known and well-loved Rolling Reels™ feature, allowing wins with up to a 5x Multiplier! You may choose to play any of the features within the Great Hall of Spins once all the chambers have been unlocked. 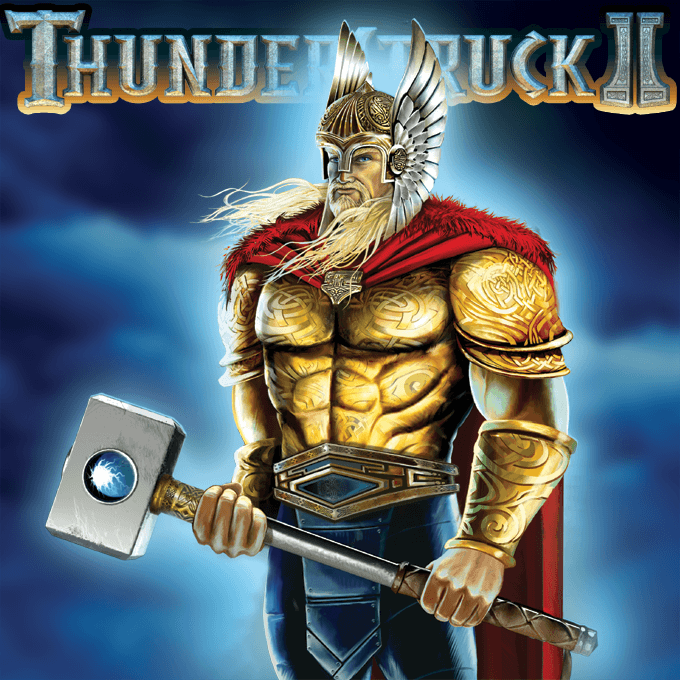 Thunderstruck II is one of the most popular Mirogaming slots around the world. The game is available to play in both, desktop and mobile versions. We have tested this video slot for some hours and it has turned our that it has a very decent payout rate ~ 97,8%. In addition to nice graphic, video and sound effects, the game has also dozen of unique features. If you want to try it for free you can do so in our best Microgaming online casinos (click here).